A practical, step-by-step approach used by a Norwegian upper secondary school for helping their students to be as innovative and imaginative as possible when selling their business ideas to important potential stakeholders. The Intel® Learn Program has brought the future within reach for more than a million young people in communities around the world where there is limited access to technology in homes and schools. Through participation in this informal education programme, designed to take place after school, students learn the skills necessary to work and compete in the increasingly knowledge-based economy of the 21st Century. During an Ideation Workshop, students learn to understand the mindset of an entrepreneur and gain hands-on experience of the innovation process. The complex literature on entrepreneurship and innovation has been carefully condensed into an interactive curriculum that allows young people to take charge of their own learning. By the end of the Workshop, teams will have found innovative solutions to a social problem and created a tangible prototype from their ideas. An account of how a Portuguese Commercial School makes use of an interdisciplinary Guide with its 3rd Year Commerce Technical vocational students. The Guide supports the students as they develop their Final Professional Aptitude Plan - Enterprise Plan at the end of their course (3 year, EU Level 4 vocational course). A process/stage-gate model, developed collaboratively by a Danish primary teacher and a teacher trainer, which is based on design thinking and user-focus. The process involves four separate stages (FIRE means 'four' in Danish). It was developed specifically for schools, and for learning situations where learning a subject with concepts, for example, is the core focus. An overview by a UK college (for students aged 11-18) of how they forge sustainable community partnerships and deliver enterpreneurship education in the context of their Surf Academy programme. An account of how a Slovakian school supports its students in developing problem-solving skills and creative thinking. A statement supporting the importance of the coaching role of teachers in enterprise activities, based on the experiences of Junior Achievement Slovakia. A statement supporting the development of skills required by entrepreneurs, based on the experiences of Junior Achievement Slovakia. When running entrepreneurial learning courses, educators often focus more on results than a student's understanding of the concepts. A reflection on results-oriented learning based on the experience of Junior Achievement Slovakia. An interactive classroom programme, launched in 1919, Company Programme offers an opportunity for older students to learn how to take a business idea from concept to reality. It's the perfect preparation for working life! Also known as Creativity Camps or 24-hour Camps, Innovation Camps are a means of bringing students together to address and find solutions to a specific business challenge. They are the perfect way to educate and motivate key players such as teachers and business people about how to encourage entrereneurship in the classroom. A programme designed to give post-secondary students and young adults the experience of running their own company and at the same time to enable them to recognise how their talents could be used to set up in business for themselves. 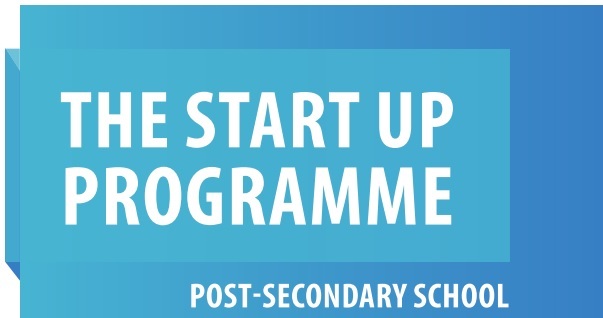 A high school and/or college web-based programme providing access to an international entrepreneurial experience for students running mini-companies. The programme aims to create cross-border international partnerships and mutual benefits for students around the world, as part of their JA-YE experience.